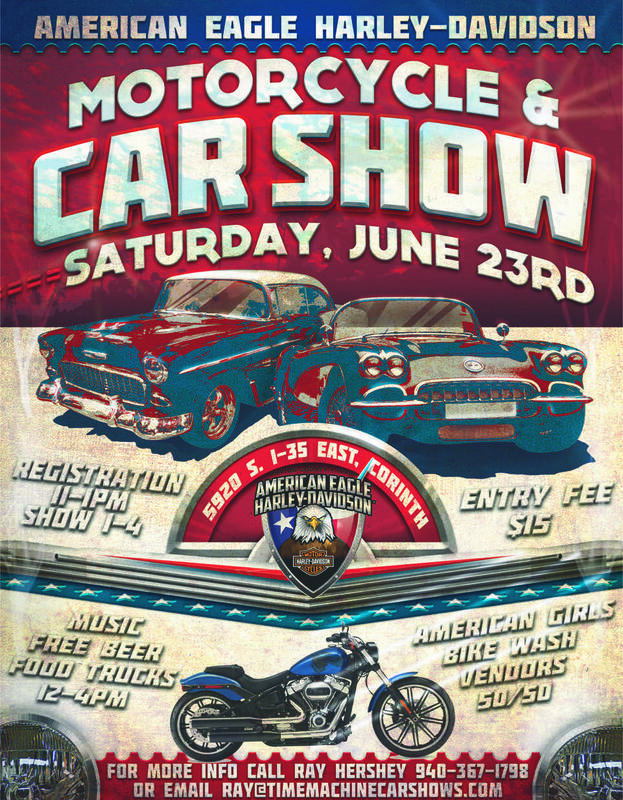 Top 30 Show with 6 Best of Shows to include: Best of show Car/Truck/ Motorcycle, People’s Choice, American Eagle’s Pick and Outstanding Club Participation. Dash Plaques to the first 30. 50/50 drawing with great door prizes!